John Metcalfe has always been surrounded by music. As a child, he would listen to his father sing opera, before a love of Kraftwerk and Joy Division led to a stint as a drummer in a high school band. But it was a move to Manchester that really accelerated his development as an artist, and led to him finding his true calling. Joining cult band The Durutti Column, then signed to legendary label Factory Records, brought him into the orbit of Tony Wilson and the Haçienda, formative events that would help foster his renegade spirit. Unimpressed with the strictures demanded by the classical recording industry, Metcalfe persuaded Wilson to launch the ground-breaking Factory Classical Label, aimed at unearthing exciting – and unconventional – new British talent. It was here that Metcalfe found a home, and the group that would come to define his musical career; the Duke Quartet. For nearly 30 years, they've existed at the vanguard of contemporary British music, innovating and delighting in equal measure. 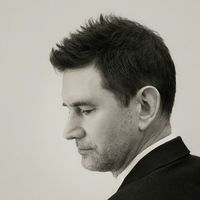 Working with world-renowned artists across the entire cultural spectrum, from pop, dance, film, TV, and theatre, Metcalfe honed his arranging and producing skills; he's now one of the UK's most sought after arrangers, regularly working with some of biggest names in music. As a solo artist, Metcalfe explores electro-classical soundscapes and the boundaries between genres. His finely tuned compositions are neat yet grand in scale, both in terms of sound and the conceptual ideas underpinning them. This Picture Of Us. P.